Islamic, Samanid, Mansur I bin Nuh I, AD 961 to 976. AE Fals. Samanids of Transoxiana. Mansur I bin Nuh I ruled from AH 350 to 366 (AD 961 to 976). 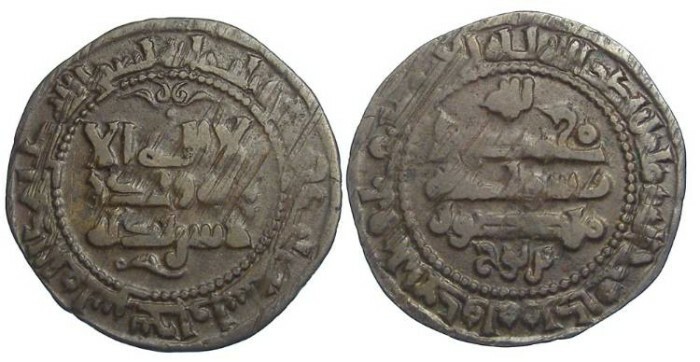 Mint and Date : Bukhara, AH 353 (AD 964). Reference : Album #1467. MI 704 variety. Size : 23.2 x 24.0 mm. Weight : 1.84 grams. Grade : VF. The lines you see on the surface are the result of a process used to flatten the flans before striking and are normal on this issue.